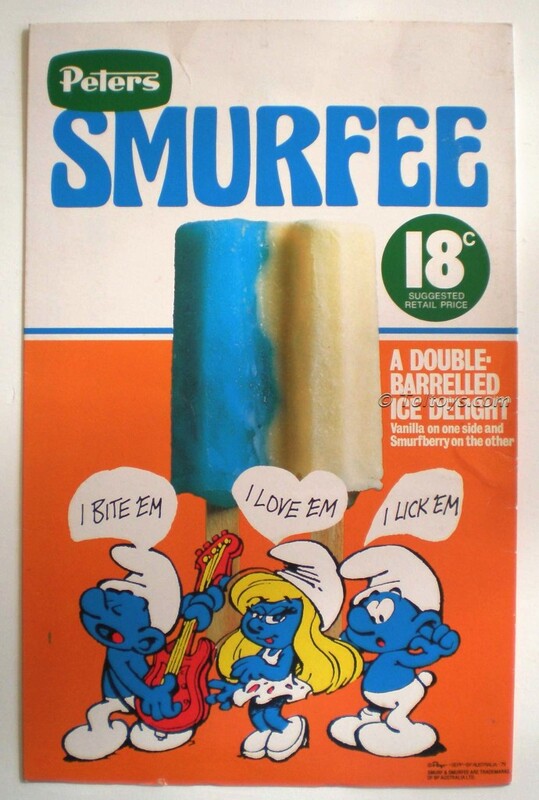 Smack bang in the middle of the golden age of Aussie Ice Creams came the double barreled inventively titled Smurfee, courtesy of Peters / Pauls. 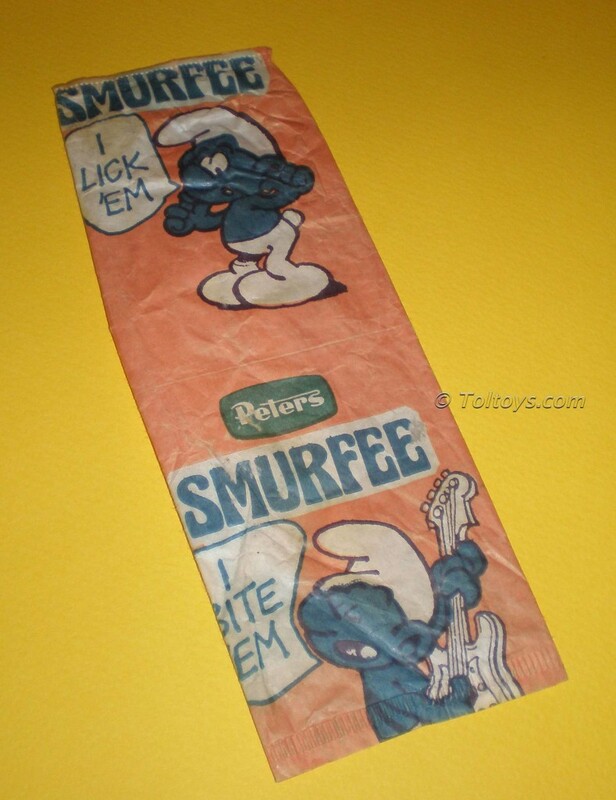 This is the store display / advertising card from the 18c treat from 1979. 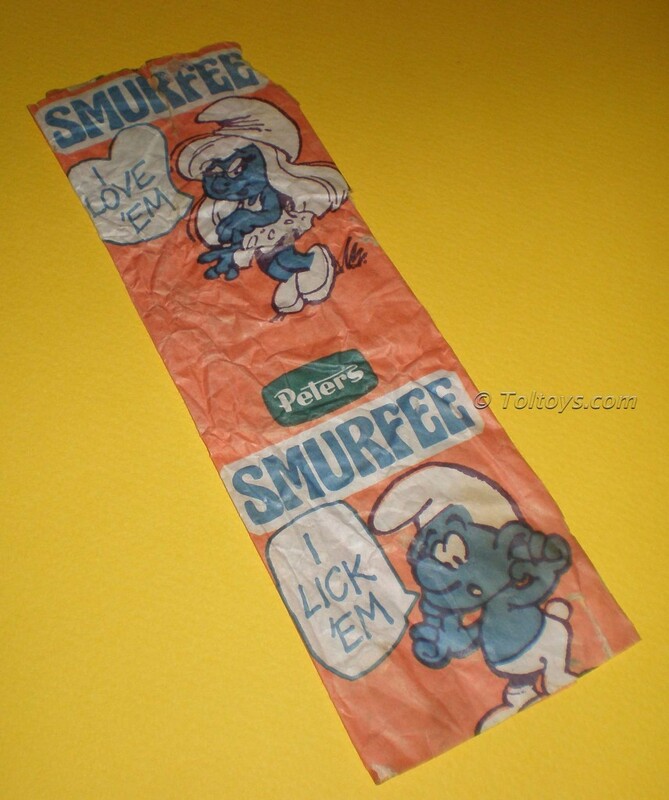 I’ve heard that there are no naturally occurring blue foods, and that blue is colour most likely to nauseate, but I’ve got to tell you that I can remember the taste of these things like it was yesterday, and that taste was good.